We previously shared the Gen 13 team base stats here but Wiz Kids has provided some individual stats for some of the members. We have stats for Freefall, Burnout, and Rainmaker. Each of their personalities is perfectly captured in their power sets and the sculpts for the figures look great! 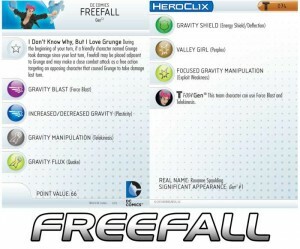 First up is Freefall. She starts off with a hilariously unqiue ability called, “I don’t know why, but I love Grunge”. This allows her at the beginning of her turn to attack any character that did damage to Grunge in the previous turn as a free action. I love this little detail! It really shows the designers know these characters. Freefall’s dial continues on as it accurately represents her powers by utilizing Force Blast, Telekinesis, and Energy Shield/Deflection. She is a mere 66 points and that is a bargain for what she can do. Next we have Burnout. He doesn’t have any uniquely funny abilities like Freefall did but he does have all his powers accounted for in his dial. He starts off with Running Shot and Barrier which allow him to move and attack and keep a strong defense when your opponent retaliates. Even if he chooses to stand still, his Ranged Combat Expert allows him to do more damage. 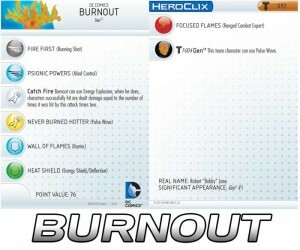 He does have a dangerous ability called Catch Fire which incorporates Energy Explosion that can hit multiple targets and perfectly simulates Burnout’s ability to turn up the heat when surrounded! He’s a little more expensive at 76 points but spending those extra points will be well worth it. Finally, we have Rainmaker. She has a unique ability called Uninhibited. 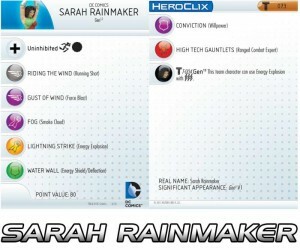 This allows her to move past any enemy unhindered which mimics her ability to control the elements including the winds which allow her to fly. 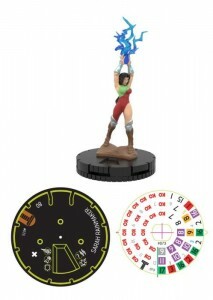 She too has Running Shot and Ranged Combat Expert which simulate her control of thunder and lightning. She even has Smoke Cloud to simulate a cloud of thick fog. 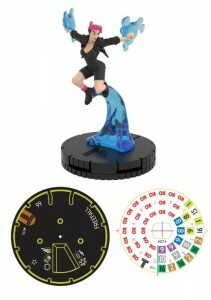 Of this trio, she’s the most expensive at 80 points but it’s probably because she’s lethal even until the end of her dial where she gets Energy Explosion and can even target up to 3 characters at one point! You can check out more at Wiz Kids main site here and watch for the last two members of Gen 13 to show up later this week. 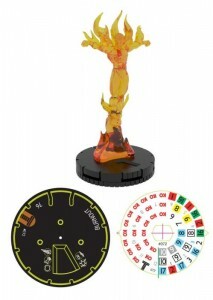 This entry was posted in News and tagged burnout, freefall, gen 13, heroclix, rainmaker. Bookmark the permalink.